This is for the Math Geeks out there. 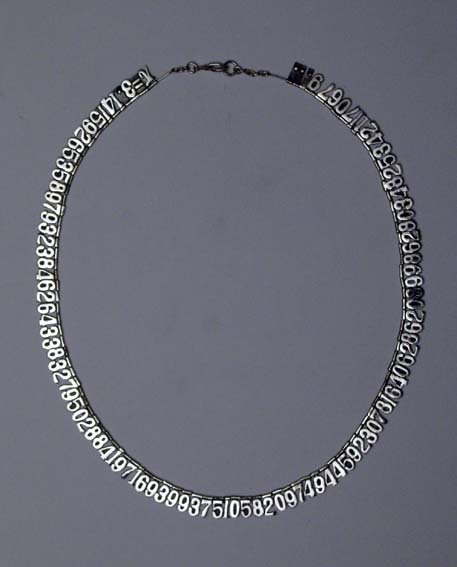 Check out this necklace which features the mathematical constant Pi accurate to the 100th decimal place. Available in Japan only unfortunately. More info here. OMG I want this SO badly!! 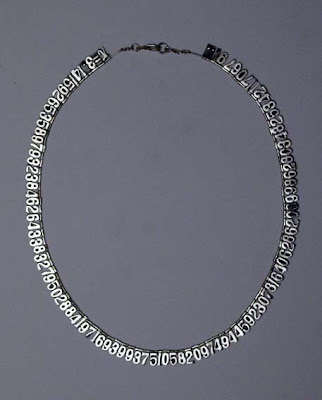 When I was in elementary/high school I used to be able to memorize pi to the hundredth digit.